Super7 has released this limited-edition Darth Vader poster. 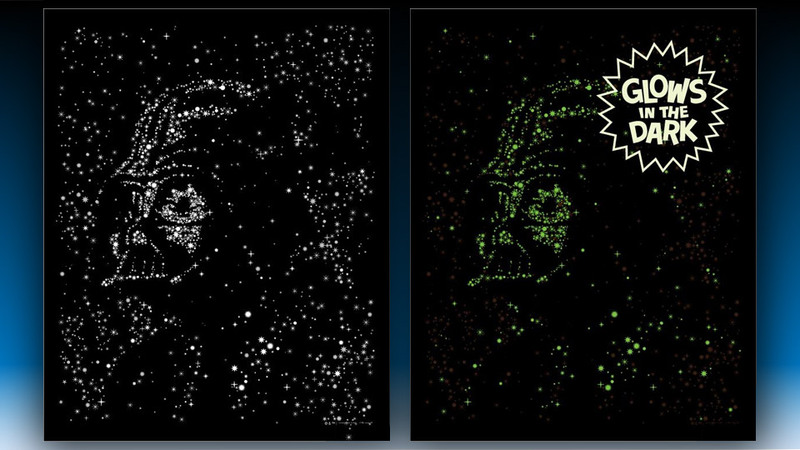 Measuring 16″ x 20″ the hand-numbered print contains an image of the Sith Lord shown in the night sky. But when the lights are out, everything is bigger and brighter because the stars glow in the dark.